The last week has been quite busy at work but it was also fun. Well, most of it. We also had to say goodbye to a member of the team who has accepted a job with the EU in Georgia. While this is a bit sad, we had a good time on her farewell dinner and I am also very excited for her: this will be a cool adventure. In between dinner parties and late nights at work, I feel like I did not have my usual hours of sleep this week but strangely I do not feel tired. I think I know where all this energy is coming from… I suspect it all started in Copenhagen a couple of months ago! It also felt busy at work because I had to work last weekend, which means that I did not have a break for 12 days … this is also my excuse for the lack of recent updates on this blog 🙂 While I may have to put a few hours in this weekend, I decided that today would be all about rest. That means coffee, food and movies (I’m going to see two movies tonight at the Stockholm Film Festival). 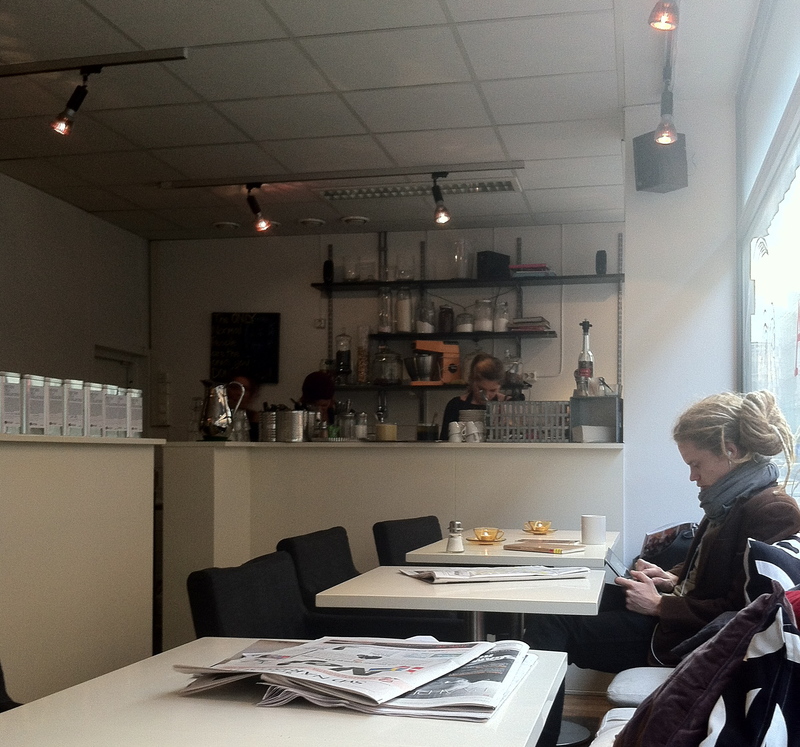 Earlier this week I noticed in Östermalm a health boutique that was also a café. I was decided to go there today but unfortunately, while the health boutique is pretty nice, the café section section was empty and, as a result, not very tempting. 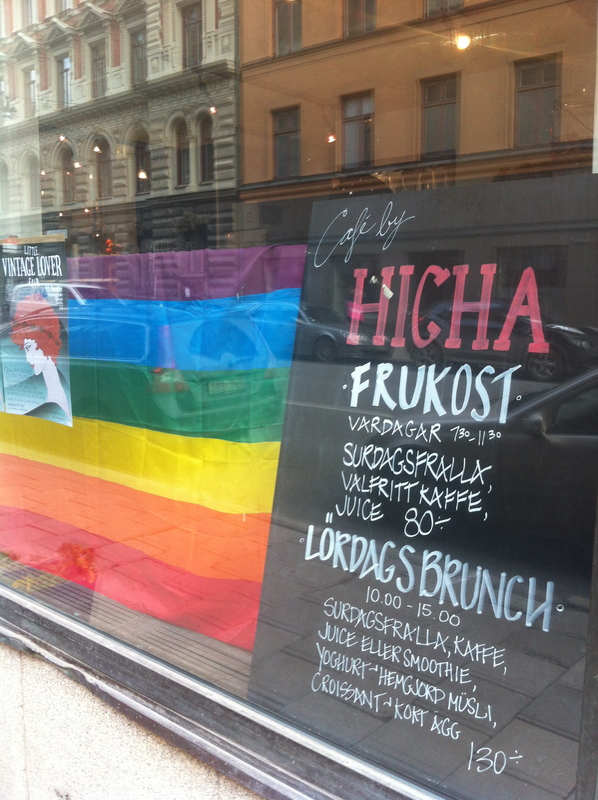 Thankfully, I did not have to go very far to find a nice café: Café by HiCha! Café by HiCha is part of a hair salon (Klippoteket), although the salon is closed these days for renovation. This was in fact a bit annoying as we could hear the construction noise coming from next door but I understand that things should be back to normal by 19 November. 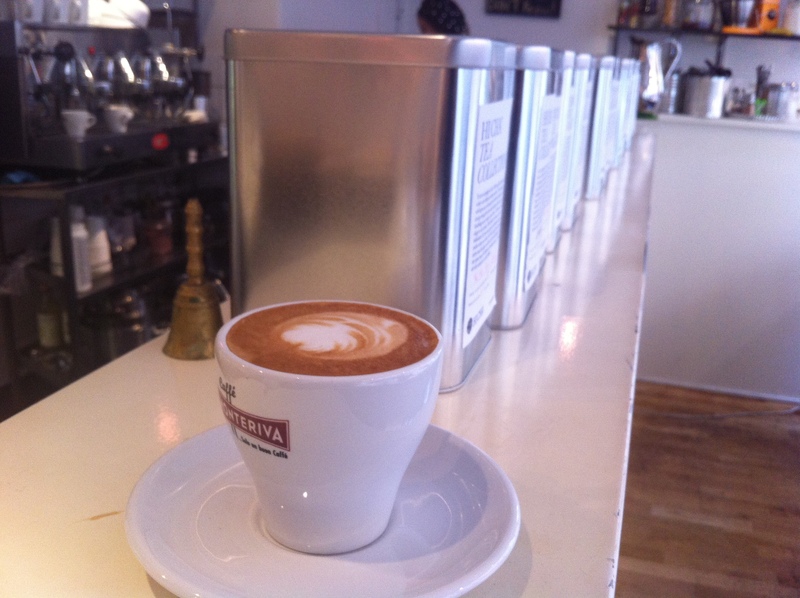 It is not unusual for hair salons to offer coffee to their clients. However, having a full-fledge café, with food and everything, as part of the salon is a brillant idea. You can always get to your appointment a bit early and have a nice espresso. Your hairdresser is running a bit behind schedule? No problem, go and have a cappuccino! 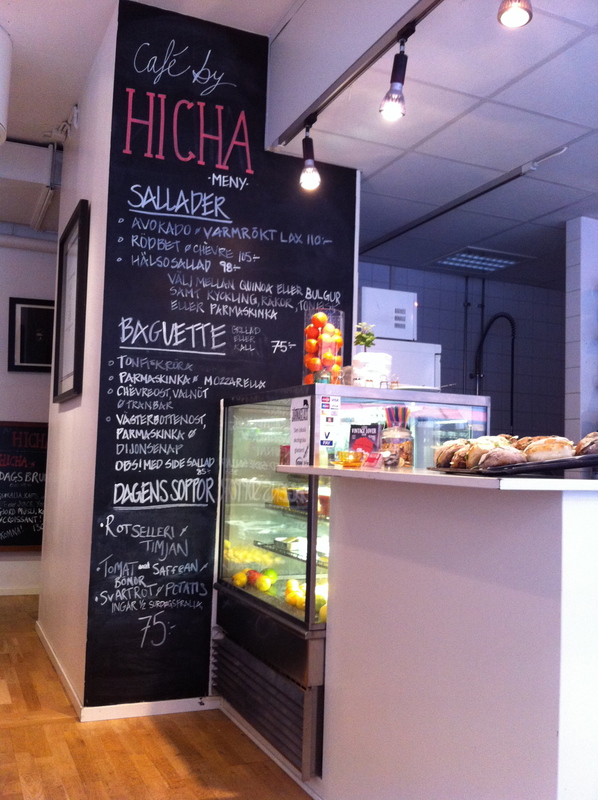 In addition to the usual café menu, Café by HiCha offers a nice variety of salads, sandwiches and soups. Since I just had breakfast I decided to skip food but as I was comfortably sitting on the bench by the window, looking at the menu written on the wall, I wish I had something to eat. The soups looked particularly delicious! People at Café by HiCha this morning looked totally normal to me. This is also true for the staff, which was very friendly. 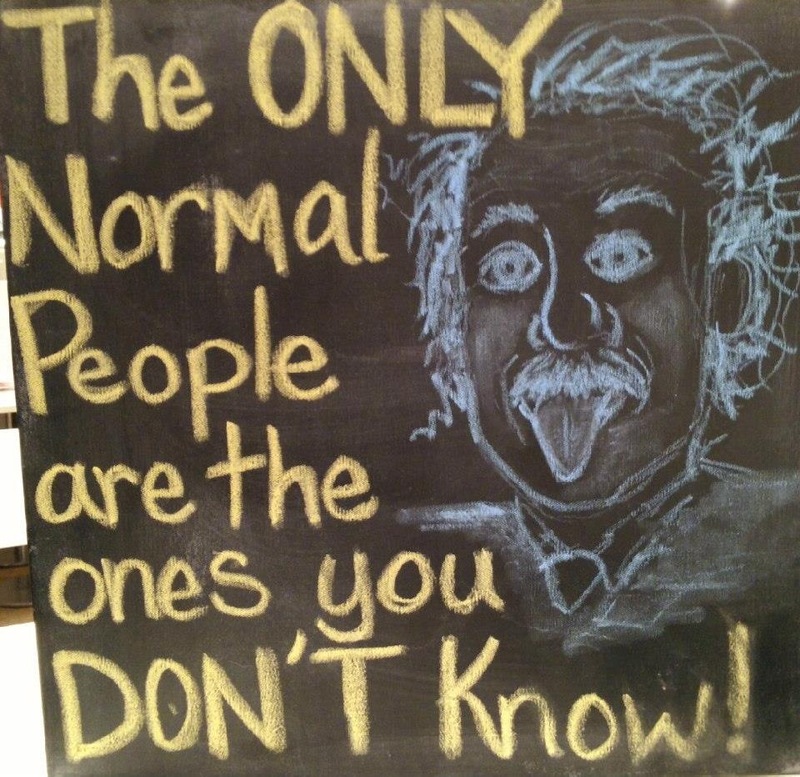 So, why a café “for weird people”? Well, it’s not from me. Go have a look at Café by HiCha’s Facebook page and you will understand. Apparently, Albert also agrees. “Meny” is now officially my favourite and only Swedish vocabulary.